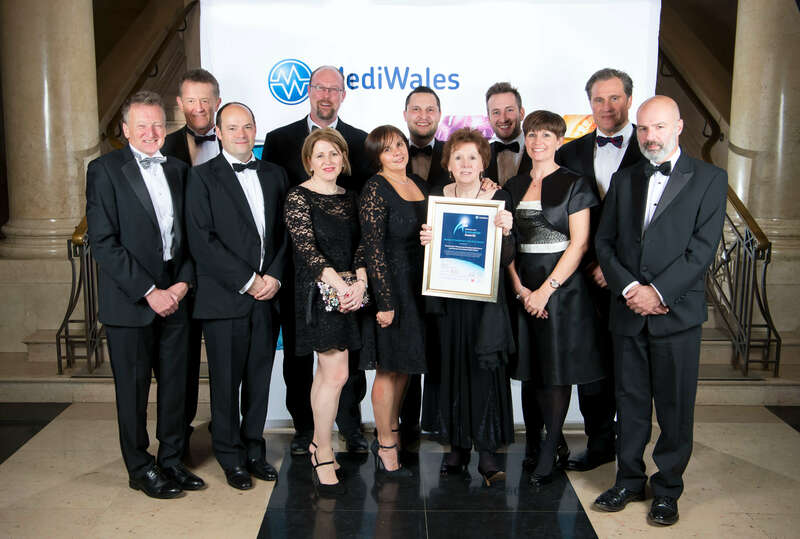 The Joint Clinical Research Facility at Swansea University has won the Research Excellence in the NHS Award at the MediWales Innovation Awards with the support of ECG On-Demand. Professor Julian Halcox acknowledged ECG On-Demands contribution to the publication of the REHEARSE AF Study in Circulation when accepting the Research Excellence in the NHS Award on behalf of the Abertawe Bro Morgannwg University Health Board and Swansea University Medical School. 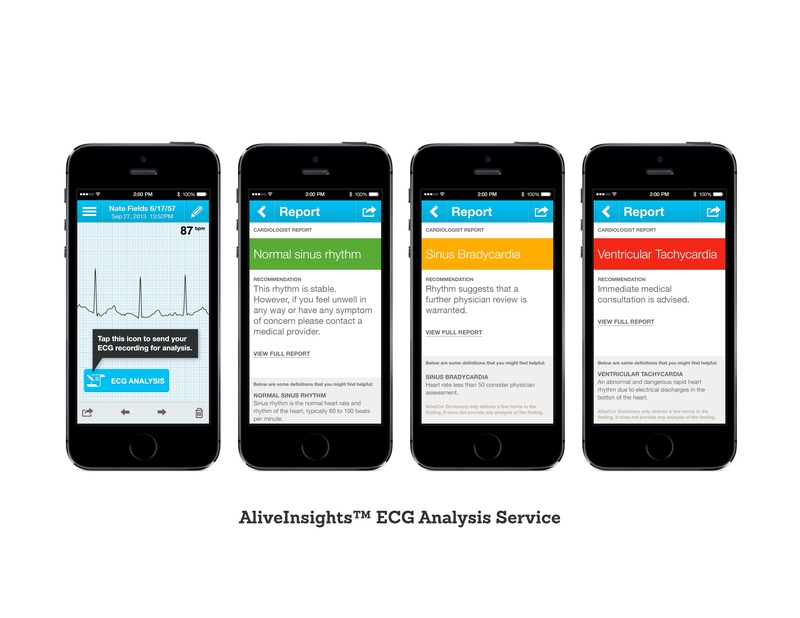 During the course of the 1-year trial, Technomed's ECG On-Demand Team analysed 60,440 single lead ECGs from 500 AliveCor Kardia devices, databasing the results for the onward statistical analysis by Swansea University. Data quality was assured collaboratively by Technomed and cardiologists from Swansea University. The key outcomes of the clinical trial were: - 19 previously undetected cases per 500 patients of ≥65 years of age with a CHADS-VASc score ≥2 over a 1 year period. - A four-fold increase in AF detection compared to the control arm. - A further 9-10 AF cases detected per 500 patients on study enrollment. "It was a great team effort. 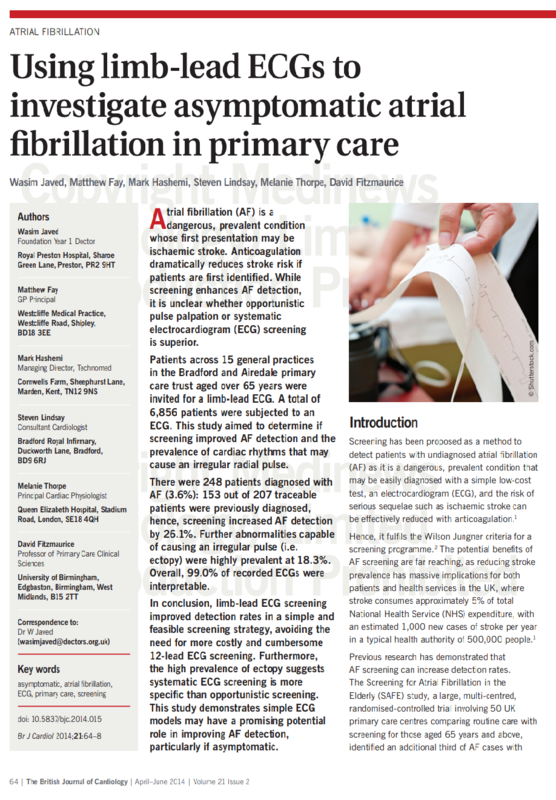 The patient recruitment and support by the Joint Clinical Research Facility in Swansea was superb (to get 500 ≥65-year-olds to reliably transmit 2 ECG recordings per week for a year, using an iPod Touch and WiFi was a triumph in patient compliance). Technomed built and operated a bespoke data analysis platform to categorise the Kardia ECG tracings and database the results for onward statistical analysis by Swansea University. The trial was beautifully written up by Halcox et al."